The anatomy book you have been waiting for is now available! 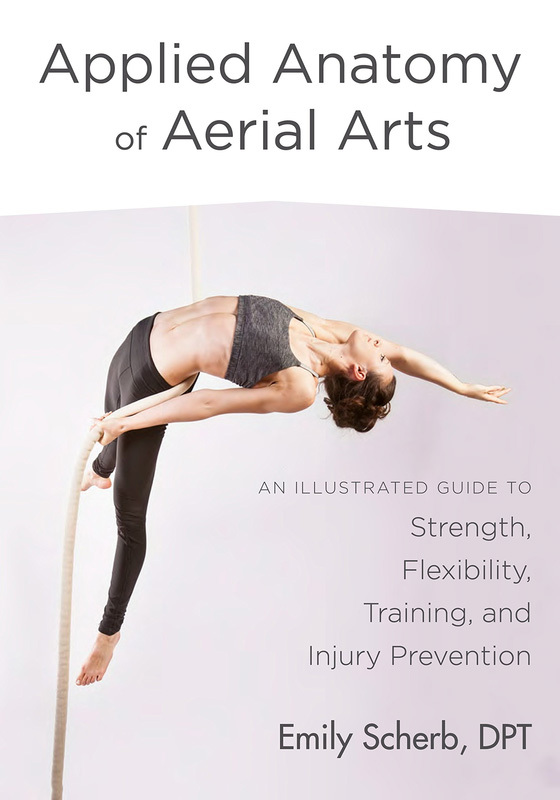 Dr. Emily Scherb has written the first anatomy book specifically for aerialists. Learn how your body works when it is hanging, inverting, climbing, or doing a hip key. Understand how to perform your favorite skills with perfect technique. Find out which exercises are Emily’s favorites for aerialists and why. ​Emily explains what causes injuries, how to recognize them, what to do if you have one, and teaches you how to prevent injuries from occurring. Outside of the United States? If you are in an English speaking country you can find the book at your local or regional major bookstores or find a link for your country below. Don’t see your country yet? Click “Other” for a website with free shipping around the world.